Canada’s National Under-17 Development Camp wrapped up in Calgary on Friday as a number of OHL prospects emerged as standouts on the scoresheet through a series of nine scrimmages at the Markin MacPhail Centre. Team Green, Team Red, Team Blue and Team White all played to identical 2-1 records with Green and Red finishing tied for the best goal differential at +2. Team Black finished at 1-2 while Team Gold was the only team that failed to win a game, going 0-3. 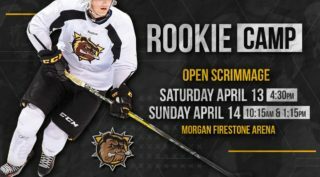 Hamilton Bulldogs first round pick Logan Morrison (3-3–6) finished tied for the camp scoring lead with six points while Dylan Robinson (Oshawa Generals, 2-2–4), James Hardie (Mississauga Steelheads, 3-1–4), and Matthew Maggio (Ottawa 67’s, 2-2–4) each finished tied for second with four points each. 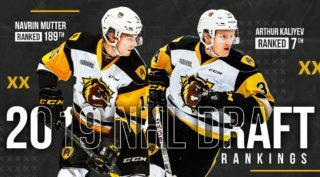 Other OHL forward prospects in Evan Vierling (Flint Firebirds, 2-1–3) and Reid Valade (Kitchener Rangers, 2-1–3) factored prominently for their respective clubs. On the back end, Flint Firebirds prospect Michael Bianconi led defencemen in the scoring department with three points (1-2–3). 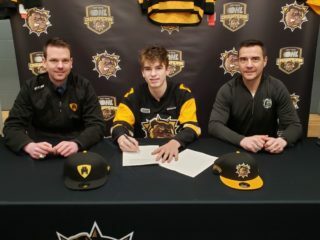 In goal, North Bay Battalion prospect Joe Vrbetic led all netminders with a 0.70 goals-against average and a .967 save percentage while Tye Austin (Peterborough Petes) placed second with a 2.19 goals-against average and .925 save percentage. 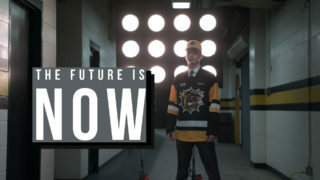 A total of 55 OHL prospects attended the annual Under-17 Development Camp that began on Saturday and included on and off-ice training, fitness testing, classroom sessions, practices, and intrasquad games. For more coverage of Hockey Canada’s National Under-17 Development Camp, visit hockeycanada.ca.